US President Donald Trump received an unexpected response during his address to the UN General Assembly: laughter. A more serious reaction in the Daily Beast dissects Trump’s rhetoric. Politico summarises the reactions of world leaders to the American president’s remarks, with Euronews providing a direct comparison between Trump and French President Emmanuel Macron’s speeches. Revisit The National to remember some momentous speeches given at the UN, including Fidel Castro’s record 269-minute discourse. Meanwhile, Andrew Rettman has some analysis on the EU Observer on the EU bonding with China and Russia against the US over Iran. That example of ‘diminishing US influence’ is also being discussed in the Washington Post. Sue Halpern writes in the New York Review of Books about the future of privacy in a world of ever-increasing surveillance technology. She examines changing attitudes to privacy from the early heady days of the World Wide Web when users found it liberating to bypass traditional information gatekeepers to today when two-thirds of Americans want tighter privacy laws. However, the explosion of big data is also providing significant opportunities for investigative journalism: Bellingcat’s meticulous investigation into Russian passport data revealed that the suspects in the poisoning of Sergei Skripal and his daughter in the UK are indeed likely GRU officers, with the latest coup revealing one of the pair’s identity. Distance is becoming a greater issue for Chinese force projection. War on the Rocks has analysed China’s need to secure access to airfields and naval bases throughout the Indian and Pacific Oceans, leading to competition with India. 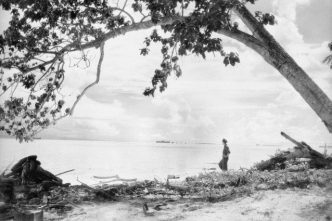 Looking east, the Perth USAsia Centre released a report on Indonesia’s expanding engagement in the Indo-Pacific and the economic, political and strategic challenges it faces and Graeme Dobell wraps up the fallout from the Pacific Islands Forum. Lawfareblog explains that there are actually three separate conflicts driving the often forgotten war in Yemen. Der Spiegel’s Fiona Ehlers went to North Yemen and her touching in-depth feature reveals that the Houthi rebels know how to skilfully exploit civilian suffering for propaganda purposes. The Intercept has the latest on growing opposition within Congress on US support for the Saudi-led coalition while Foreign Policy looks into the American presence in the country over the past 16 years. Take a step back to War is Boring to see the gradual descent into conflict and the roots of the violence in Yemen. Observing another forgotten conflict, the Financial Times recaps in detail on the war ravaging Eastern Ukraine and how the population deals with it. And Siobhán O’Grady shines light on the varying death toll data in South Sudan’s civil war. Strategy Bridge provides a long read into the need to reshape and revitalise UN peacekeeping operations while Foreign Policy expands on the necessity of renewed commitment worldwide—something Fiji knows all about, according to Grant Wyeth. Finally, the Council on Foreign Affairs attempts to nudge US policy in the right direction by promoting the need for (and benefits of) involving more females in peacekeeping operations. For ECFR, Ulrike Franke looks at the ‘dreamland’ that is Germany’s defence policy, bringing perspectives from both inside and outside Germany. In this regard, we also recommend this older piece from War on the Rocks on the origins of the country’s reluctance to spend more on defence. First up, airborne tankers aren’t normally that exciting to talk about. 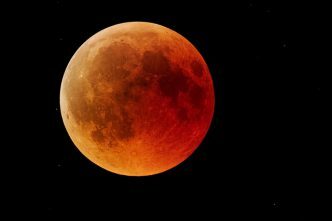 However, Lockheed Martin could change all that. 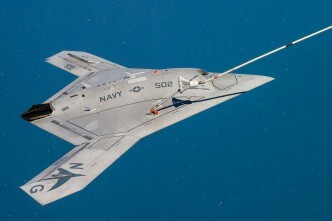 Having lost the competition to provide a carrier-based tanker UAV to Boeing with its MQ-25 Stingray, the company is turning its attention to a manned stealthy airborne tanker, known as the KC-Z, to replace the troubled KC-30A. It looks exciting, and potentially could also act as a cargo aircraft to replace the C-130 and C-17. A next step in responsive space access is airborne launch, and Microsoft co-founder, Paul Allen, has created Stratolaunch Systems which is moving towards its first airborne space launch from the world’s largest aircraft. Now, the company has unveiled a family of launch vehicles to be deployed from the Stratolaunch aircraft, including a potentially reusable space plane. There’s a great essay by Edwin Chua in Strategy Bridge called ‘Fighting and winning in the information age’. Also have a look at the article by Mick Ryan and Nathan Finney, ‘Science fiction and the strategist 2.0’—both will make you think about the wars to come and what they might look like. With that future in mind, read War on the Rocks’ piece titled ‘How the Marines will help the US Navy and America’s allies win the great Indo-Pacific War of 2025’. 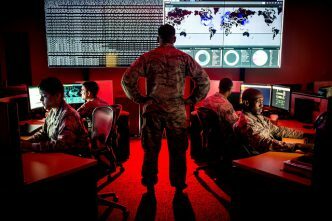 The Pentagon has released an unclassified summary of its 2018 cyber strategy. Also, take a look inside US Cyber Command’s annual exercise, Cyber Flag. 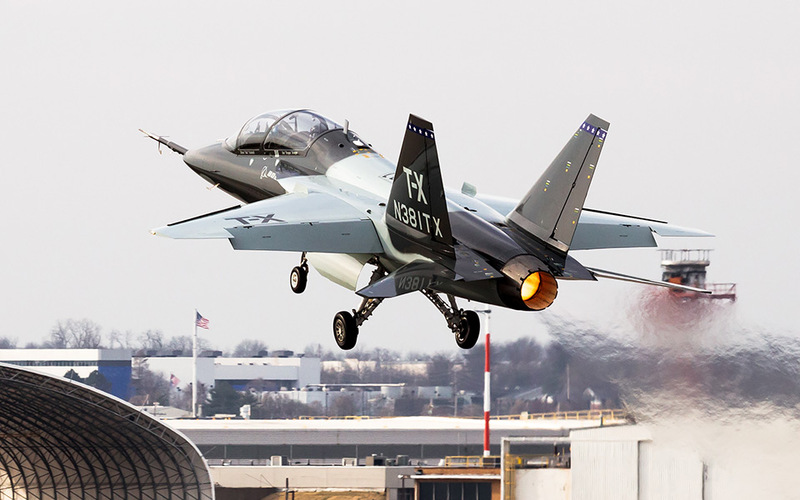 Finally, Boeing has won the US Air Force’s T-X competition for the next fighter training aircraft. Find out more about this very pretty jet here. On 26 September 1983, Lieutenant Colonel Stanislav Petrov of the Soviet air defence forces possibly prevented World War 3. 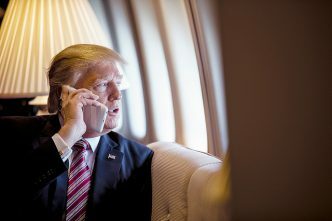 He judged an alert on the launch of four US intercontinental missiles as a system malfunction—correctly deciding against prompting a counter-attack. Read Time’s obituary on Petrov. Since the end of the country’s civil war in 1939, Spain’s rural population has been moving to the cities to find work. As this trend continues, the lives of the last inhabitants of the town of La Estrella are exposed in this photo series by the Independent. Canberra, 2 October, 5.30–6.30pm, Women in International Security and ANU: ‘Shaping Australia’s role in Indo-Pacific security in the next decade’ with DFAT Secretary Frances Adamson. Free registration. Canberra, 4 October, 12.45pm, ANU School of Politics and International Relations: ‘Nationalism and Americans’ attitudes towards international cooperation: lessons of history and policy leadership’. More information here. Sydney, 4 October, 6–7.30pm, University of Sydney: ‘How Australia can save democracy for the world’. Register here. Jacqueline Westermann is a researcher, Malcolm Davis is a senior analyst and James Brorson is the program development coordinator at ASPI. Image courtesy of Boeing.